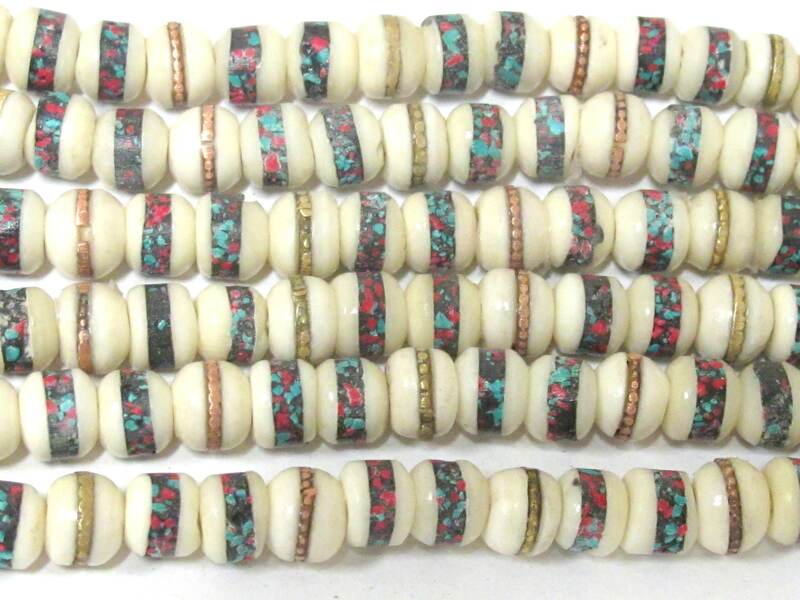 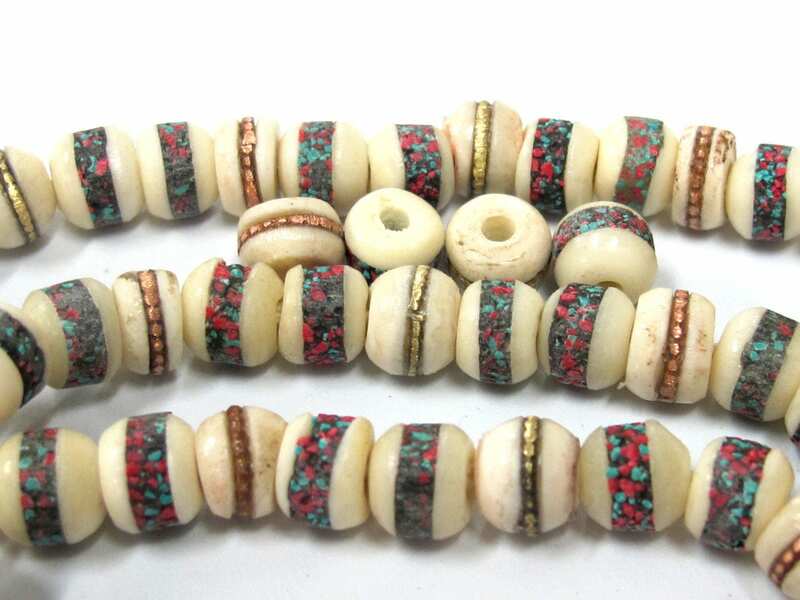 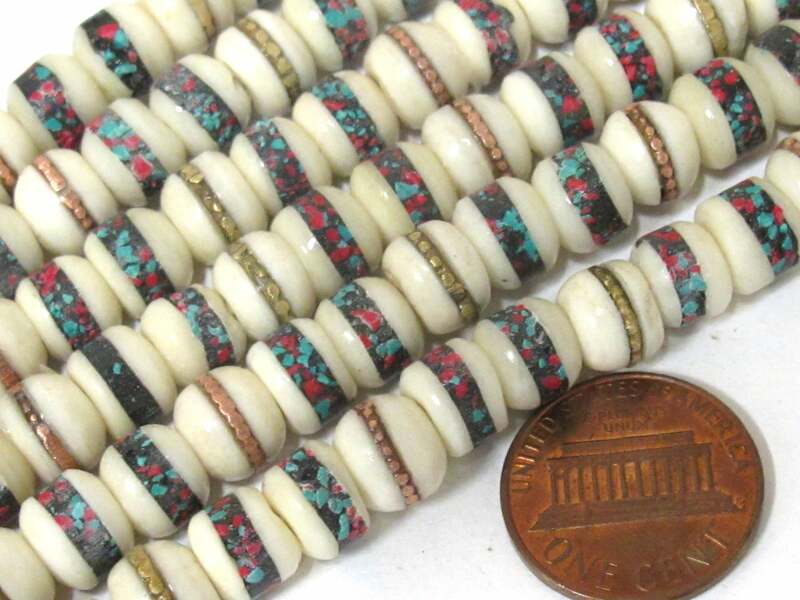 This listing is for 50 Tibetan bone mala beads . 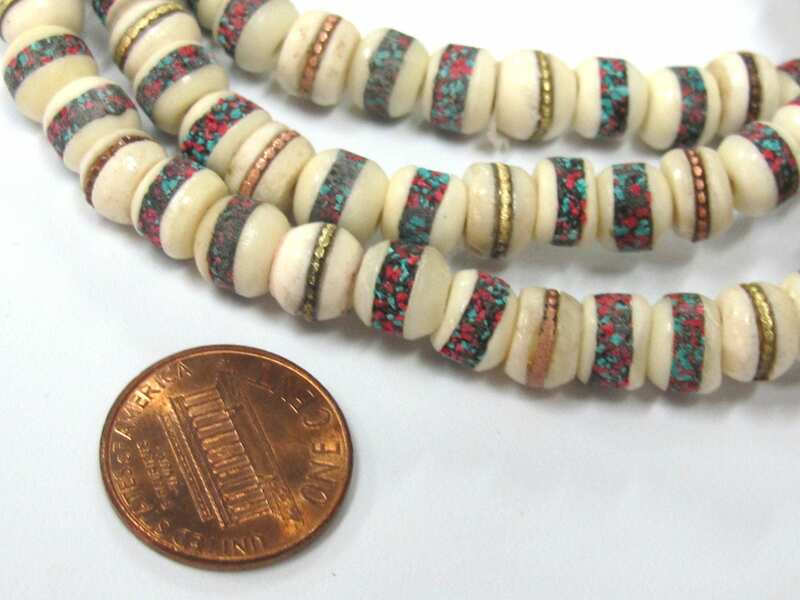 Inlaid with turquoise coral and some beads with brass/copper. 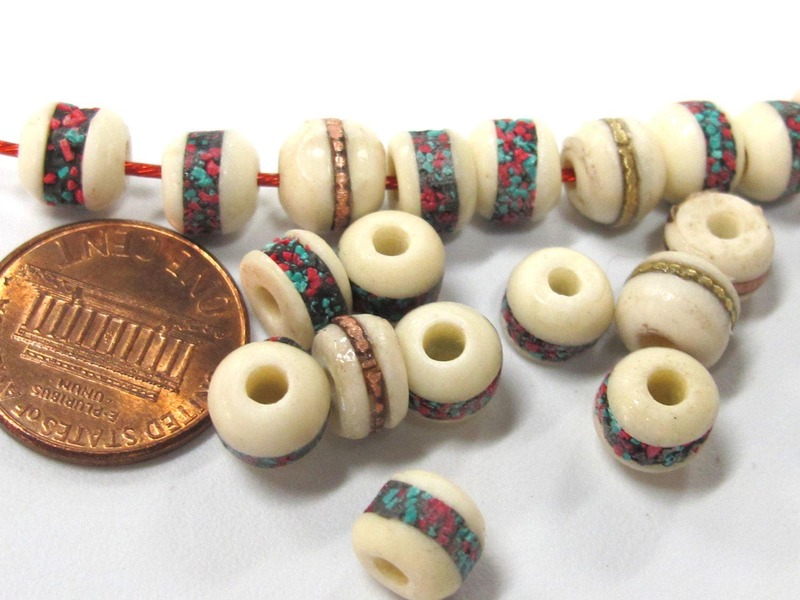 Bead Size - Approx 7 to 8 mm wide diameter x 6-7 mm thick (hole to hole).